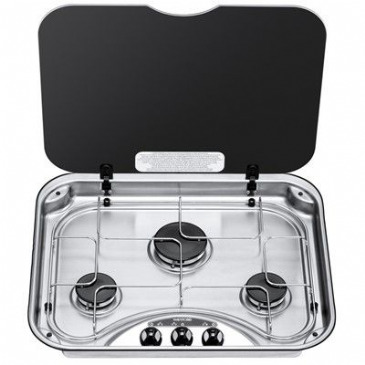 We stock a comprehensive range of kitchen hobs for caravans, motorhomes and campervans and many other types of recreational vehicles such as horseboxes, boats and racing trucks. 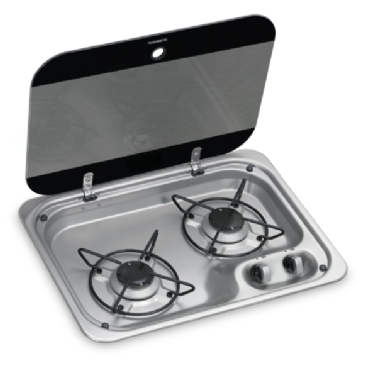 We offer great prices on top brands such as Smev, Dometic Cramer, Spinflo and the marine orientated manufacturer Can. 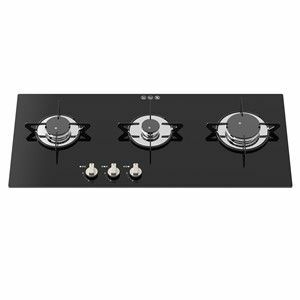 Each of these brands produces top quality products and a range of combination units, hobs, sinks, sinks and drainers as well as cookers, ovens and grills. 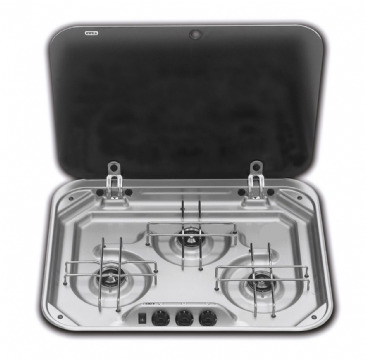 Belling build-in gas hob is a simple and attractive hob with 4 flame failure safe burners. 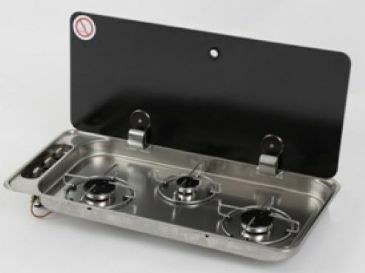 Made in Britain the hob sports 1 large burner mounted at the back, 2 medium burners and 1 simmer burner. 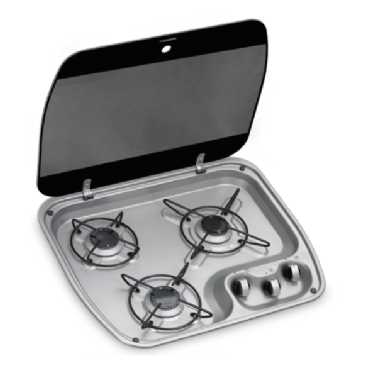 All burners benefit from instant heat and precise controllability. 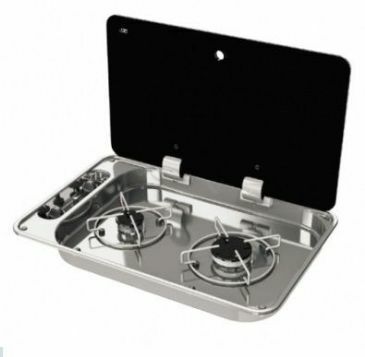 Rectangular gas hob-unit 2 burners complete with tempered smoked glass lid, with burners with self-blocking flame lid, s/s built-in support grid fixed with anti-vibration rubber-washers and disappearing hinge. 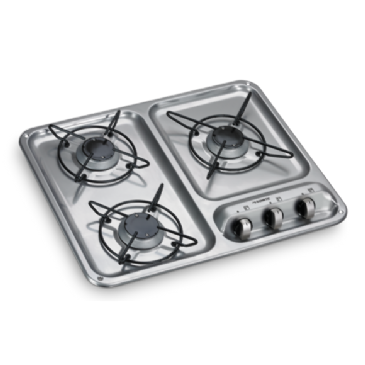 Stainless steel, 4 burners, 230v mains ignition, flame safety device, LPG conversion kit, enamel pan supports. 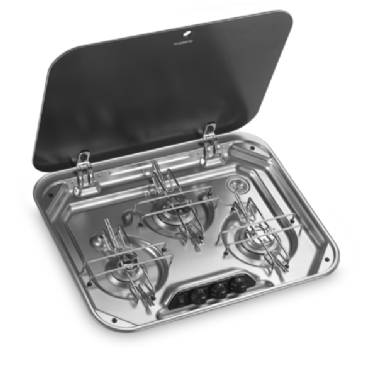 Burners: 1 x 3.0kw, 1 x 2.5kw, 1 x 1.75kw, 1 x 1.0kw. 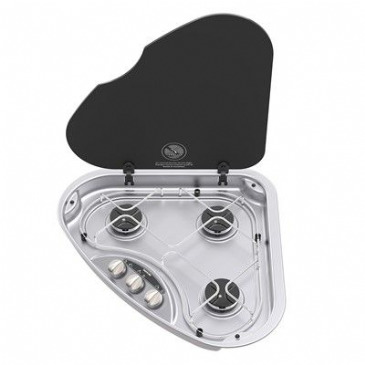 W:580mm x D:500mm x H:42mm. 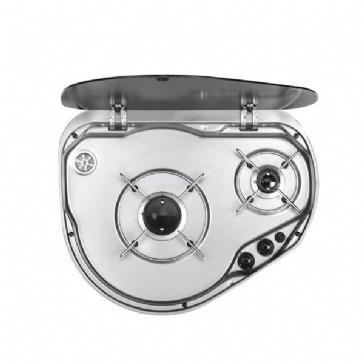 Focal Point HB0420X. 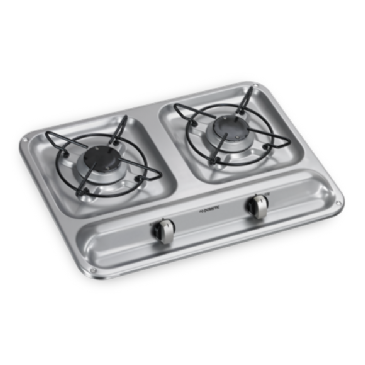 Built-in gas hob. 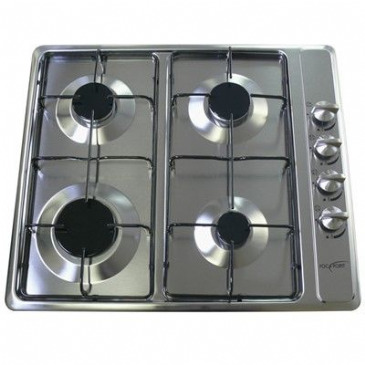 An attractive stainless steel hob with 4 flame failure safe burners. Dimensions: 50 (H) x 580 (W) x 500 (D). Cut-Out Dimensions: 540(H) x 470(W). 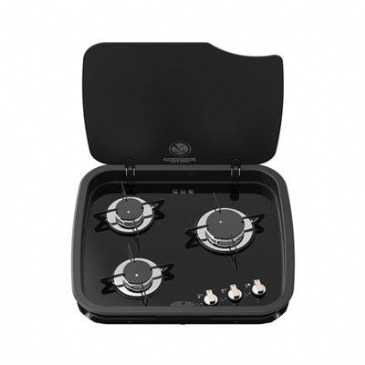 Thetford 8 Series 4 burner LPG hob unit with flame failure device, 4 x 1.5kw. 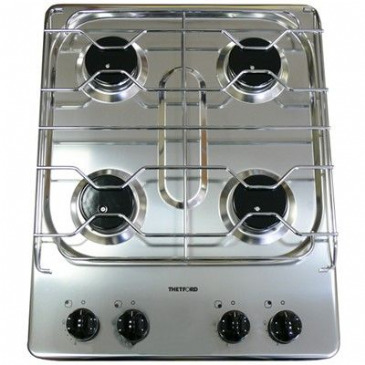 SIZE 500mm (W) x 400mm (D) x 88mm (H) Stainless Steel. 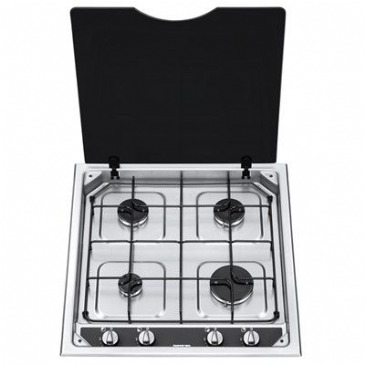 Thetford 9 Series 4 burner LPG hob unit with flame failure device. 230V Mains ignition. 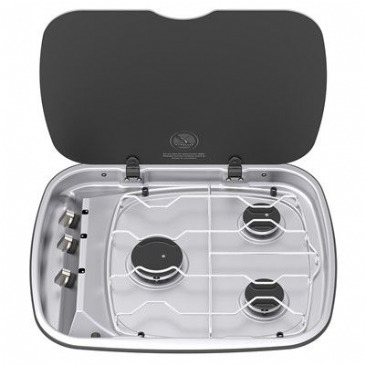 Dimensions 480mm(D) x 540(W). Replaces GC-022 (SHB94952). 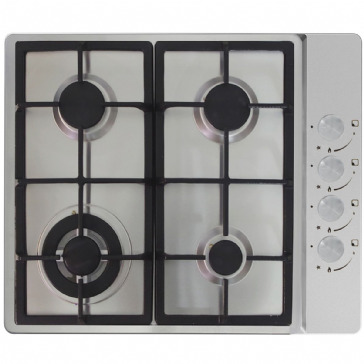 Thetford Argent right hand 3 burner hob unit, stainless steel. 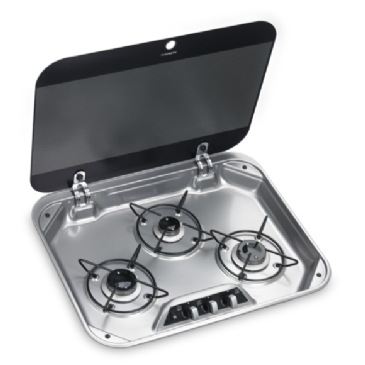 Includes 12V ignition, black glass lid, nickel burner control knobs, 2 x 1.5KW and 1 x 2.5KW burners. Replaces N31/SS. 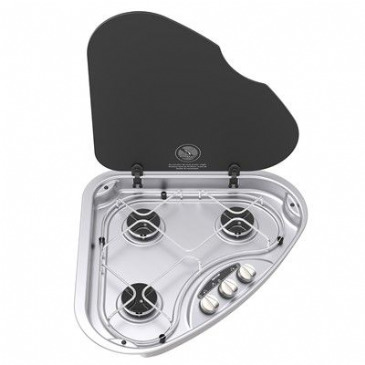 Thetford Argent right hand 3 burner hob unit, stainless steel. 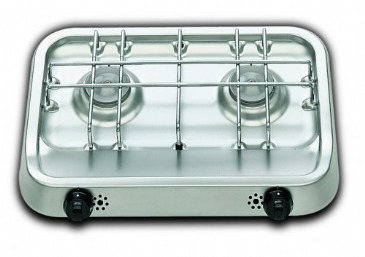 Includes 12V ignition, black glass lid, nickel burner control knobs, 2 x 1.5KW and 1 x 2.5KW burners. Replaces GC-025. 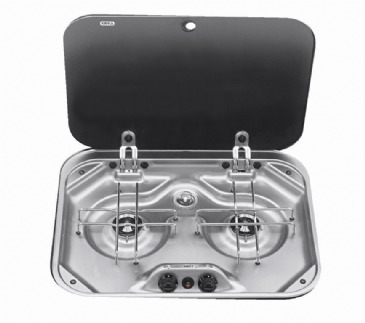 Thetford Linear 4 burner LPG hob unit with flame failure device and 12V ignition. 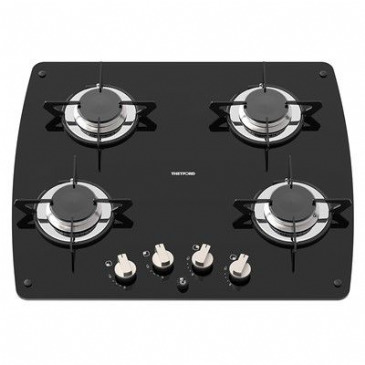 Thetford Topline 931 3 burner LPG hob with 12V ignition and flame failure devices. 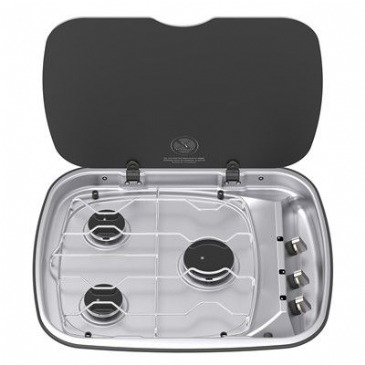 High quality black glass finish, easy to clean and maintain, suits pan sizes up to 280mm diameter.